Anderson Cooper has signed a new deal with CNN and has taken himself out of the running for the "Live with Kelly" co-host job. Cooper and CNN struck a new "long term" deal, according to two sources with knowledge of the matter. It includes a carve-out for Cooper's work on the CBS newsmagazine "60 Minutes" but precludes the talk show possibility, the sources said. When Michael Strahan left "Live with Kelly" last spring, Cooper was seen as a top candidate to join Kelly Ripa on the ABC daytime talk show. Cooper regularly guest-hosts the show and is a fan favorite. Cooper has repeatedly said in interviews that he did not foresee leaving CNN. "Anything I do would be an add-on," he said in May. Some observers theorized that he could somehow juggle both jobs. But others had doubts about the possibility. Ultimately Cooper "deemed it would be too difficult to do both," sources told The Hollywood Reporter, which was first to report his new contract. A CNN spokeswoman declined to comment on the details, but confirmed that Cooper has a long term deal. Cooper joined CNN in 2001. 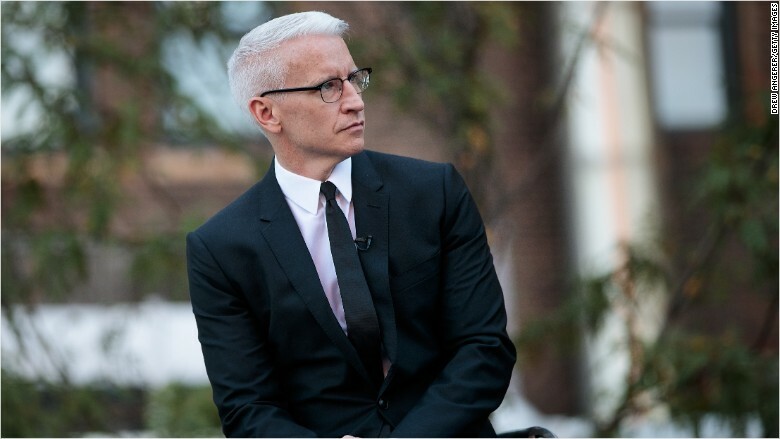 He has anchored "Anderson Cooper 360" in prime time for over a decade. He last reportedly renewed his contract in 2013. Like a number of other prominent news anchors, the contract was due to expire after the 2016 presidential election. Cooper will continue to fill in on "Live with Kelly" from time to time, according to The Hollywood Reporter. Ripa is holding on-air tryouts for the co-host chair this fall. The news of the new deal came on the same week that Cooper is in Washington, preparing for next Sunday's presidential debate. Cooper is co-moderating the debate along with ABC's Martha Raddatz. Cooper also moderated two debates during the primary season.